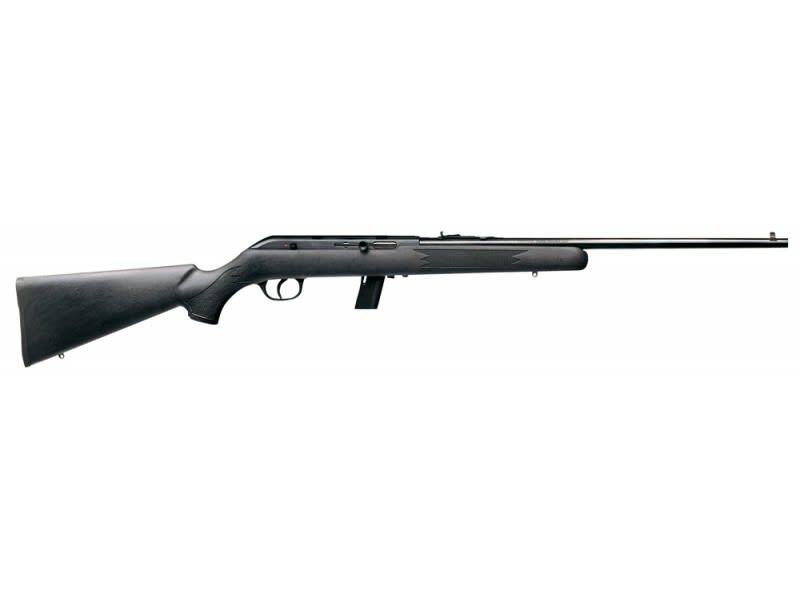 Savage Arms 40203: Model 64 rimfire rifles can handle everything from casual plinking to small game hunting, and are designed to meet the needs of everyone from novices to serious enthusiasts. This semi-automatic rifle comes equipped with a smooth-feeding, detachable 10-round magazine, a blued carbon steel barrel and a black matte synthetic stock with cut checkering, that has open sights and is drilled and tapped for scope mounts. This semi-automatic rifle comes equipped with a smooth-feeding, detachable 10-round magazine, a blued carbon steel barrel and a black matte synthetic stock with cut checkering, that has open sights and is drilled and tapped for scope mounts.